I made these a few years ago but they are so cute that I thought I’d share them with you. 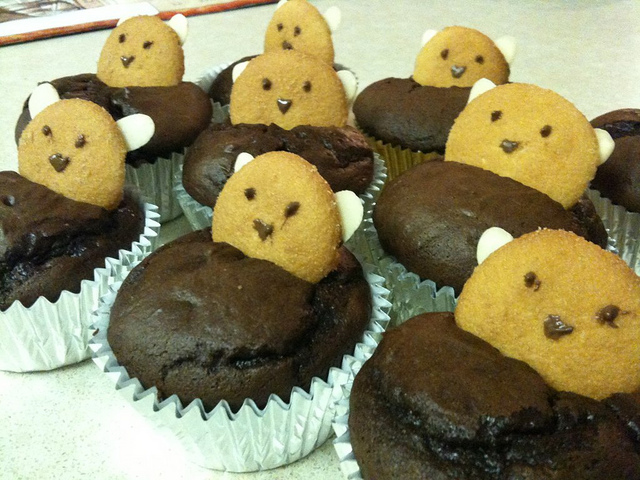 These are chocolate brownies baked into cupcake tins with a Nilla wafer for a head and almond slivers for ears. I used a dab of chocolate for facial features.